I don't think it's a shocking statement so say that the Netflixoriginally started as a disc-by-mail service, Netflix has grown to be one of the largest media companies in the world (and one of the most valued internet companies as well). With a constant slate of new internet streaming-based programming that updates all the time, Netflix has redefined what it means to watch TV (as well as how to do it). editions of the Marvel Cinematic UniverseWhen it first began in 2008 with a little film called Iron Man no one suspected the empire that would follow. Superhero movies in the past, especially those not featuring either Batman or Superman, were usually terrible. And yet, Iron Man would lead to a long series of successful films, launching the most successful cinema brand in history: the Marvel Cinematic Universe. have been rather hit of miss. 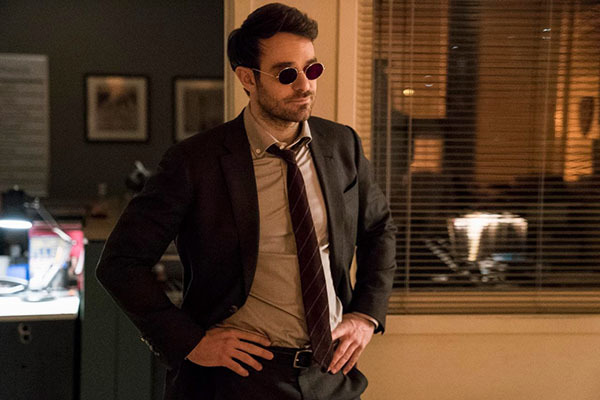 I've noted on this site that the early seasons of the shows (like Daredevil and Jessica Jones) have been pretty darn good, but as the various shows have continued on, the quality of their storytelling has diminished. That's not a surprise with long running shows, of course, and if we view the various shows in the Netflix MCU (DD and JJ along with Luke Cage, Iron Fist, crossover mini-series The Defenders, and spin-off The Punisher) as one long series, then this is one long series with plenty of highs and lows. Quality is going to vary over time -- it's just what happens with long-form storytelling. The problem for the Netflix MCU is that the series(es) is at a bit of a crossroads. Iron Fist was canceled a couple of weeks ago and right before the new season of Daredevil debuted, Luke Cage was sent packing as well. Although there are some fans already bucking for a Heroes for Hire series starring Luke and Fist (like in the comics), what this is really indicative is waning interest in the MCU from viewers. Reports are coming out that there were creative differences over the direction of Luke's third season, but if the show had been really successful the network (and Marvel-owner Disney) would have found a way to continue it. I mean, just look at how ABC rescued The Connors out of the ashes of Roseanne Barr's political stupidity. The Netflix MCU is on a precipice. The shows that are still going right now will have to put out great TV and really hook viewers back in, otherwise it's hard to see how this pocket universe is going to keep going (potentially consigning potential Heroes for Hire and Daughters of the Dragon spin-offs to the dust heap). 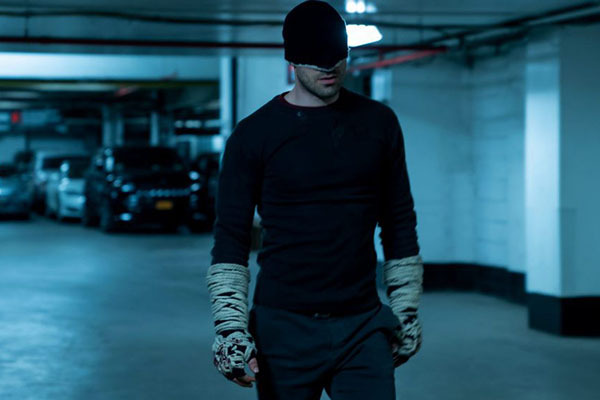 Sadly, third season of Daredevil doesn't exactly make the case for continuing at least this part of the Netflix MCU. Now, let me be clear: season three is a perfectly acceptable season of television. There are some high points to the season, some great flights and interesting character beats. Taken as a single, binged whole, the season was actually pretty good. I just don't see many viewers sticking it out through the whole run as the first half is wildly uneven and, really, just not much fun to watch. 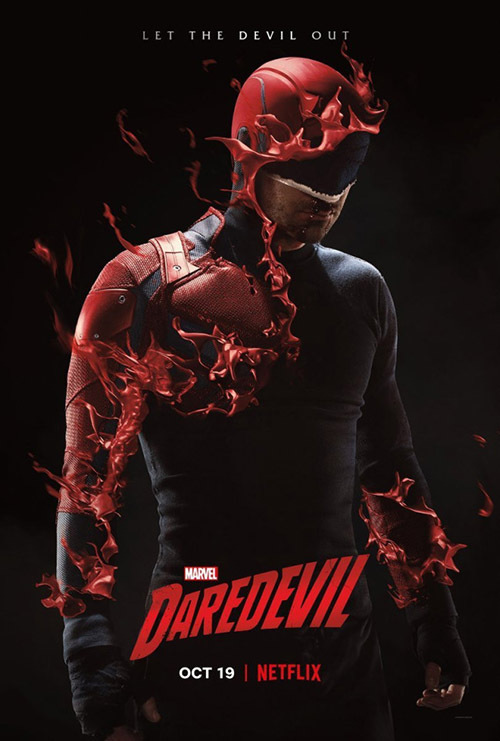 When we pick up with Daredevil, it's been six months since a building fell on blind superhero Daredevil (aka Matt Murdock, played by Charlie Cox) at the end of The Defenders. 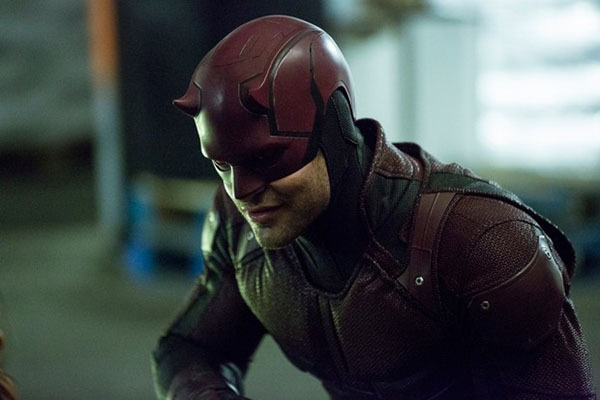 While much of the world assumes Daredevil is dead, his friends Karen (Deborah Ann Woll) and Foggy (Elden Henson) still hold out a bit of hope their friend will return. Surprisingly, despite the fact that an entire building fell down around him, Matt was able to crawl out of the carnage. 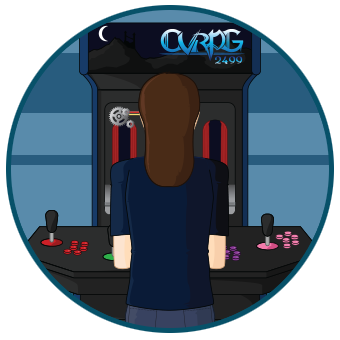 Convalescing at the church that took him in as an orphan years ago, Matt rebuilds himself. 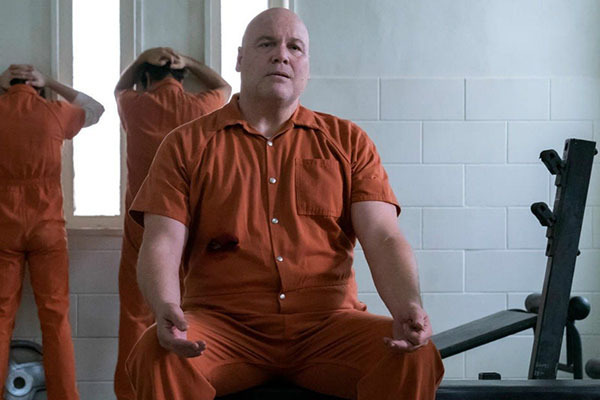 When his arch-nemesis Kingpin (aka Wilson Fisk, played by Vincent D'Onofrio) finds was way to buck the charges against him and secure a release from prison, Matt elects to become Daredevil once more. The struggle for him, though, is in deciding if he really wants to be Matt anymore or if Daredevil is the only persona to really matters in the end. There's drama to be mined, certainly, from a crisis of faith. Usually in comics that crisis is about if a hero is actually doing good in the world, if they even should bother being a hero anymore. Matt, though, has always been written in this series as a devout Catholic, so his crisis of faith is more literally about his faith. His idea that Daredevil is important is never shaken, but his belief in God is. This then plays out for him bucking everything about his life he once loved -- he career as a lawyer, his friends, his hopes -- and wallowing in self-pity and darkness. This goes on for another of episodes at the front half, and nothing really seems to come of it. He doesn't so much learn a lesson about how he really needs people in his life as suddenly he just decides to let someone back in. The motivation in the show isn't really explain, so there's no catharsis for all the drama. This is a problem because if there's no lesson, no rebuilding after the crisis, no release from the pain, then there's really no point to wallow in it either. The six episodes could have been condensed down, stripping away all the dark self-pity. The wallowing was also a theme of the second season and, to a lesser extent, The Defenders -- one would think having the building fall on him should have shaken him out of it (if not before). At this point, another year into Matt's pity party, the whole storyline got old. it would have been nice to start the new season with the character moving on from his bad decisions instead of spending six episodes continuing this pointless exploration. Once Matt does, for whatever reason, elect to actually emerge from the darkness, though, he series begins to pickup steam. We get a lot of the great chemistry between the three leads, and there are solid moments of lightness, and humor, to break up the darkness. The show starts really humming once we see how much Kingpin has rebuilt his empire, and it gives all the characters a problem to focus on. Character motivations become clearer, plot lines come to the fore, and the show picks up energy. It also helps that we have a second villain to fight, one immensely more interesting than Kingpin. That's no knock against D'Onofrio and the great work he does at the character -- the man steals every scene he's in. The simply fact is that a villain who is so powerful, who can shake off any attack and is already three steps ahead of the hero at every turn, the villain stops being interesting. Kingpin is played well, but he's not interesting this season. That's why the inclusion of Bullseye (aka FBI Agent Ben Poindexter, played by Wilson Bethel) is key to making the back half of the season (mostly) work. Poindexter is a closet serial killer, one that barely gave into his urges before he got into therapy and found a way to control them through a structured life. He also has an amazing skill with thrown objects, able to make just about anything into an accurate, deadly weapon when tossed. Up against Daredevil, the two, hero and villain, are evenly matched, one better at range while the other fights better up close. They're also two sides of the same coin, men driven by urges, fighting on both sides of justice and criminality. As written, and as played, Bullseye is a solid villain for the season. I just wish it all came together better. Not to spoil the ending in any way, but I will say that the big climax plays out just about how you'd expect it, and then resolves no in a satisfying way, but just like the writers had a bulleted list of story beats to work through in the last hour of the show and they were going to hit this beats whether they really made sense in the context or not. The episode ends fine, and there are great moments between the characters, but it just doesn't put a cap on the rest of the season like I wanted. The last episode, really, is like the whole series in miniature: great moments, interesting villains, but wildly uneven both in tone and story. I can tell the writers really wanted to get Matt back into the world, to rebuild himself after he threw away everything at the end of Season Two. They had their bulleted list and they were going to work through it. They just needed to come up with a story truer to the characters (and the act of watching them) that really worked. Season three of Daredevil, for all it's great moments, simply doesn't work. It's hard to say where the Netflix MCU will go from here. The last episode of this season of Daredevil ends in a way that could either be a season or series finale. If Netflix comes along and cancels this one as well, I certainly wouldn't be surprised. This could spell the end for the Netflix shows (since all that would be left at that point is Jessica Jones). We'll all just have to wait and see if more people made it through this show than I expect, or if Daredevil joins Luke Cage and Iron Fist in the great beyond.